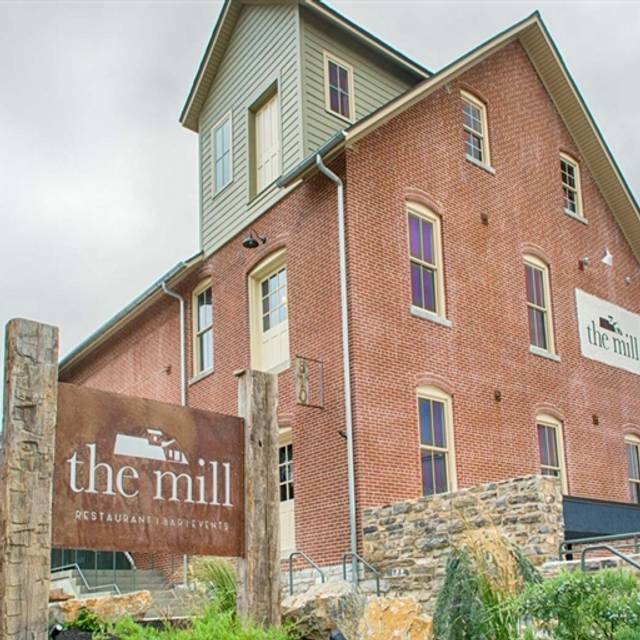 The Mill in Hershey, PA is a top-rated local favorite, known for its unique, rustic ambiance and farm-fresh ingredients. 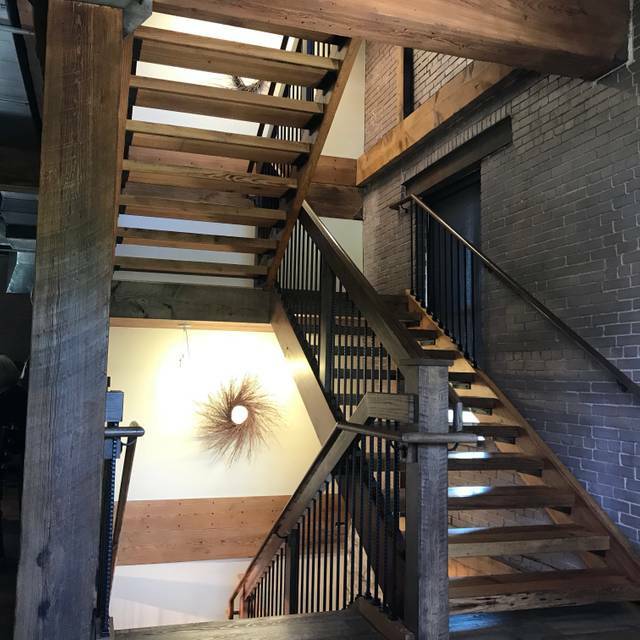 Located in what was once the historic Curry Feed Mill, a distinctive building in Hershey, Pennsylvania that dates back to the early 1900's. We took great strides in preserving the original structure to provide a unique ambiance and special experience for our guests. Our chefs prepare inventive iterations on classic American and seafood dishes that are sure to satisfy your taste buds. With three bars we offer hand crafted cocktails, domestic and international wines by the glass and by the bottle, multiple draft beers and a rotating variety of domestic, import and craft bottles. In addition, our unique private dining rooms offer a distinctive atmosphere for your special event. For travelers and locals looking to experience Hershey's sweet night-life-look no further than The Mill to enjoy weekly live performances and daily drink specials. We hope you'll join us! We got seated at a table downstairs, in a dark corner. It was such a bad table, our only views were walls and pillars. We were so tucked away, we weren't able to easily flag down our waitress when we had an issue, and we were easily forgotten because we were so hidden away. We ordered 2 adult entrees and a 1 child entree. The adult orders came out right away. My child never got his meal. It took us a while to find our waitress, and because we couldn't even see into the main area of the restaurant, we had to walk around to look for her. Although the waitress explained the mix-up was due to a new system being implemented, it did not change the fact that we were shoved into a dark corner in the middle of nowhere. Anyone who dines out with kids would know that kids meals should arrive first. Why didn't the waitress come check on us to make sure all our entrees arrived? We had to go look for her. It was a bit of a mess, made worse by the fact that we were seated in Siberia. There were plenty of booths in the open area available, so why should anyone be seated out of the way. 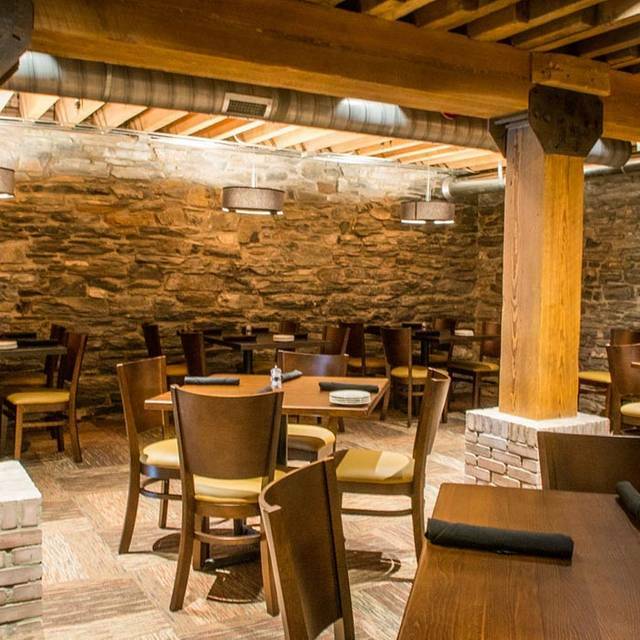 We love the Mill and in off times it is quiet downstairs; the food and service are great. The food was wonderful, we really enjoyed the Sunday brunch menu. The wait staff were very friendly starting with the staff that greeted us when we went in the lower level floor and took us up the elevator. The whole staff signed a birthday card for Andrew since I had made a note of his birthday, which was so sweet and above and beyond what we expected! The food is amazing! That is the second time I have been there and it was absolutely delicious! Excellent service, food was awesome. Price was somewhat reasonable. Atmosphere was very nice and relaxing. I like the environment and the wait staff was great. I do feel that often their food is over salted. Delicious meal, friendly waitress; it was a little noisy as we were near the bar area and the prices were on the high side. Overall, I would recommend The Mill to others. Convenient to Hershey activities and able to get a reservation rather than having to wait. The place was lovely. The service was great. Appetizers and dessert were delicious. Unfortunately our main courses were just average. But since it was our first time, I'd go back and try it again. Meal was typical of the Mill. Wonderful flavors and textures in the brisket hash and the eastern omelette was light, fluffy and full of lump crabmeat. The food was bland , selections boring , and not worth the prices they were charging . I had been there a couple of years ago and the menu was creative and had some depth . Was very disappointed by the brunch menu. Incredible brunch! Katy’s service was excellent! Highly recommended! Excellent, knowledgeable service, excellent food. We were seated in the basement area for dinner, which got a bit noisy as the evening went on, but the meal made up for it. Highly recommend the brussels sprouts as a starter, and my aunt said her filet mignon was the best she'd ever had. I look forward to going back to try out the lunch menu. Excellent, interesting choices. Much better than the usual pub menu. Our meals were delicious. The crab cakes were outstanding and the peanut butter pie was to die for. Our waiter was very informative and our food came quickly. I would highly recommend The Mill. The food it's very good but I found a hair in it and even the server and the bar tender were very worried and kind, no manager talk to us and that for me it is not good service. Also we wanted to use a Visa gift card and we were not allow to use it, they say that only The Mill gift cards. So even I liked the duck so much I am not coming back. 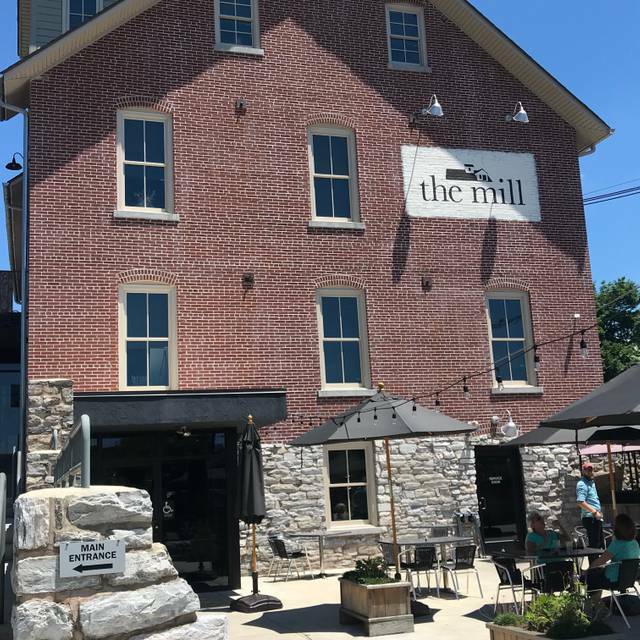 My wife and I enjoyed a relaxing "Sunday Brunch" at The Mill. We ordered off the menu and the staff accommodated our request. The food was delicious! 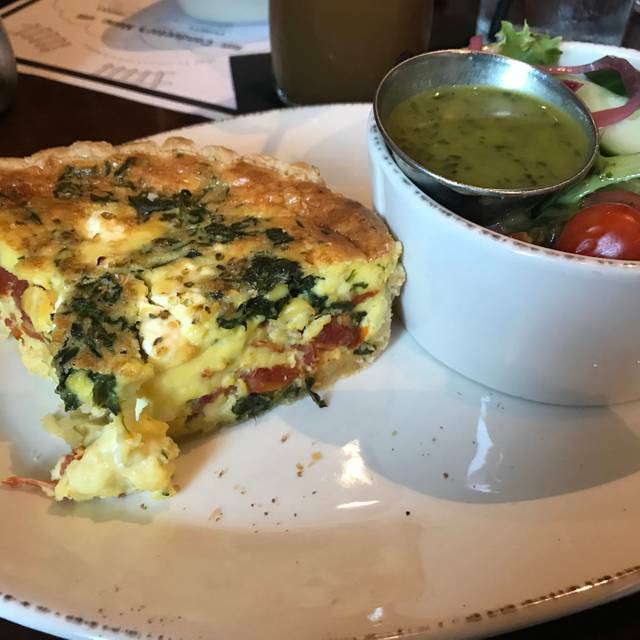 We are always amazed the lack of any big crowds at a brunch because we feel that a number of people are missing out at a great menu. BUT, then we also appreciate that we can dine in quiet and feel as if our server is for us only! Even though I am certain they make everybody feel that way. Ryan our server was outstanding. Great service. I didnt really like being put downstairs in a corner. Maybe it was because we had a child with us we got put in a corner downstairs. The loud clunking or people walking upstairs is almost deafening at times. The room seems to have a echo in it. There weren't many people around us but it still seemed very loud between stomping from upstairs and the tables next to us. We really like the setting. 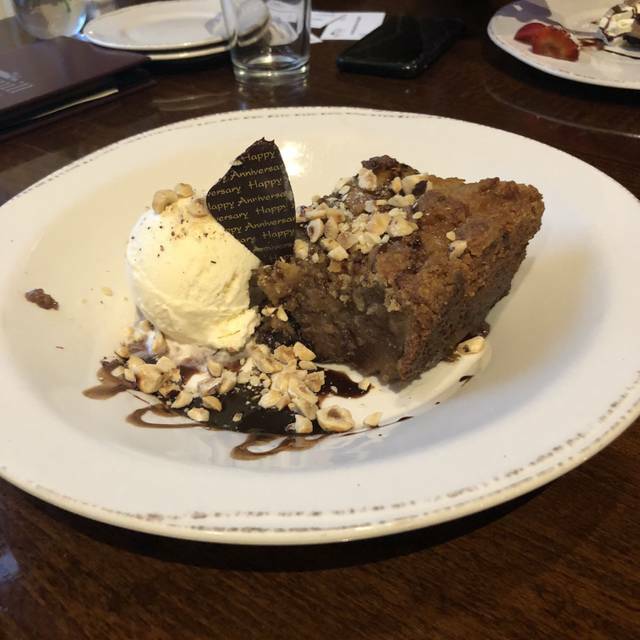 desserts are exceptional. Steak and brisket are mostly good, but, Twice now the steak was not the best and twice the brisket was very stringy and chewy. Found The Mill via Open Table. Was in Hershey for a show. Had a great time. Wait staff was super friendly and very attentive. Food came quickly and was delicious. Excellent food and service. Definitely will return. 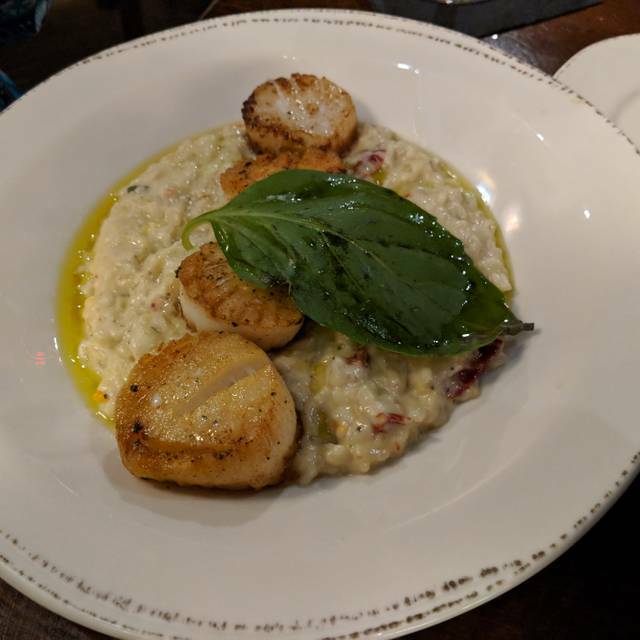 I loved my visit, the house was a little loud were sat on the same floor as the bar even though I specifically asked for a quieter place, despite that the server was very hospitable and we never had to wait to long for refills or our food, and had an overall great night. New favorite restaurant in Hershey. The building is a fantastic place to dine. Attentive and detail oriented friendly service. Gluten free option for my Mrs. I recommend the Brisket personally. I cannot imagine anyone being disappointed with the Mill. The Old Fashions are quite tasty as well. We'd never been to the Mill for brunch and went to celebrate a birthday. We had 2 special requests and they were ready with both. Good and service were great. Decided during a weekend trip, to try out The Mill, I had sent a request in for a bottle of Champagne when we were seated. My girlfriend was so surprised by the bottle and it already chilling on ice. Our waitress Rachel, was absolutely incredible and could not have taken better care of us. The food was absolutely delicious and we could have easily sat there all night talking to every employee. The ambiance, the food, the employees, they are all top notch and I would recommend this restaurant to everyone and anyone going out to Hershey. Thank you again to everyone at The Mill for the incredible hospitality. I truly hope this gets to you to share with your crew! Meal delicious as usual. Luke did a great job serving. One of our party had a potentially dangerous medical problem. Luke helped take care of things quickly. Will surely return. I wish we lived closer to Hershey. 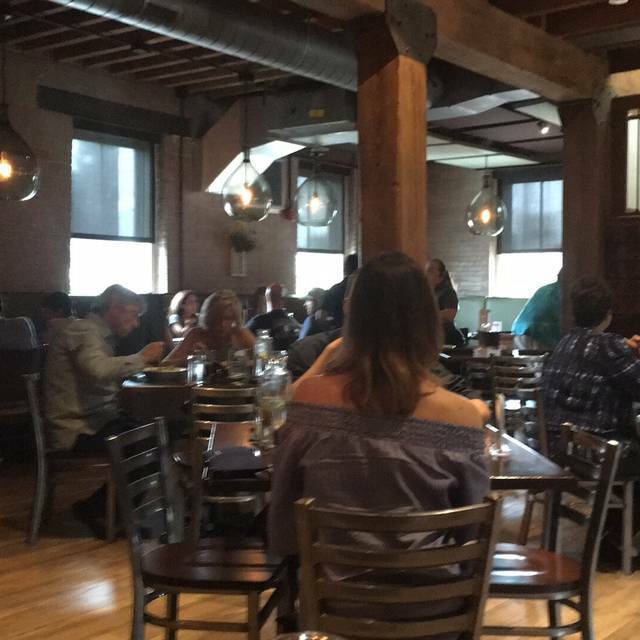 One of the better places to dine in Central Pa. 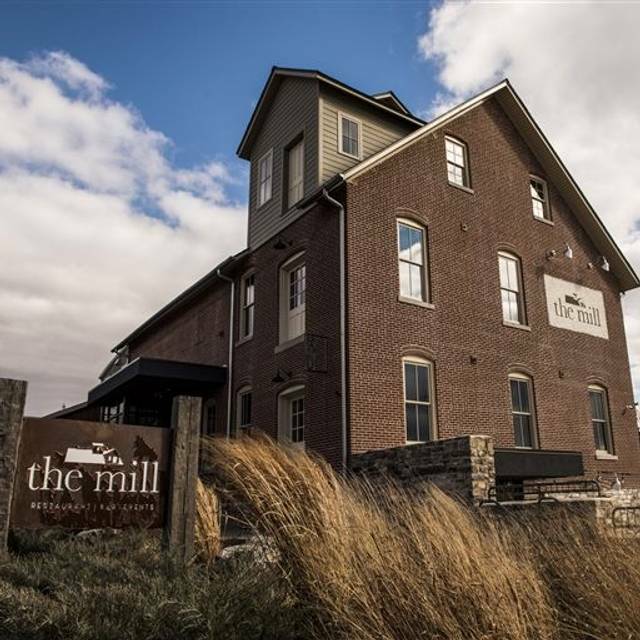 I've never experienced a bad meal or service at the Mill. Ryan was fantastic from the moment we were seated until we left. The ambiance in this place is cozy but upscale. The food was AMAZING! Definitely on the pricier side but worth every penny. We are not local, and were in town visiting, but we will definitely find a way back. Loved the location & the inside is wonderful. The service was good. The food was fair. My steak didn't have much seasoning and it was tough. The potatoes lack seasoning. The salad dressing for the Caesar radicchio salad was horrible. The steak sauce was really bitter. The taste of the food vs the cost was bad. We had reservations for a table upstairs, and since we arrived early, decided to have a cocktail downstairs in the bar area which is very nice. After our last experience with slow service upstairs, and the bar being quiet, we decided to stay in the bar area for dinner. The bartender was very nice, welcoming and made terrific cocktails! The food came out in a timely manner and was delicious. A great experience overall! Excellent experience from the minute we walked in....made a reservation online and due to circumstances arrived almost a half hour early...hostess was extremely accommodating and seated us immediately...server was in a meeting still but another staff member tapped in and took our drink order and got the ball rolling..
Server was attentive but not overbearing,which I enjoy...the food was extraordinary from apps to entree..sadly had no room for dessert. Must visit if you are in Hershey. Always great, consistent food and service. So glad that you are open on Sunday...thanks!